Dear Friends of Nepal, Namasté! there were the mudslides, and now there is an oil boycott by India! The minority group of the Madhresi live in the south of Nepal. These are Nepalese who are often married to Indian women. This minority group does not agree with the constitution which finally was published on 20 September. The Madhresi are afraid that they get too little power and influence through this constitution. Riots started and several policemen were killed. India sympathizes with them and therefore closed the borders. For Nepal, this is a great tragedy and this is worse than the earthquake itself. The earthquakes were very destructive but what India is now doing to its neighbor Nepal is indescribable. Food is scarce and gasoline or diesel for transport costs € 7 per liter on the black market. Taxis are very expensive and there is hardly any rebuilding, especially in remote areas. We hope the international community will exert pressure on India to cease the boycott and help Nepal to rebuilt the country. Wait days for a bottle of gas? 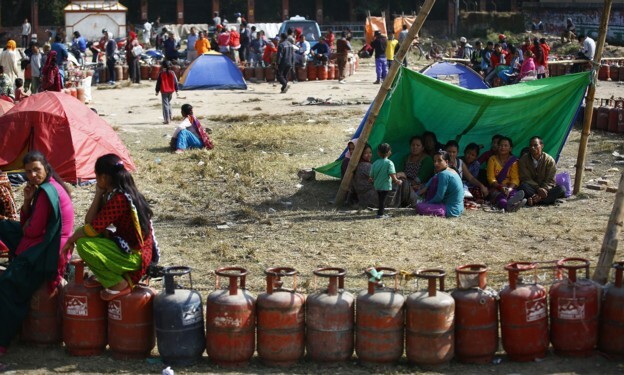 The border of India with Nepal: Humanitarian disaster! It is still not clear whether Keraunja will be rebuilt. If so, it will certainly be smaller than the original village. At this moment, there is no decision about the reconstruction of the health post, but when there is a demand for this, we will certainly progress this. The cost will be between € 11000 and € 12000. The new building must be earthquake-resistant, and this comes at a higher costs. We hope to come up soon with definite plans and will keep you informed. 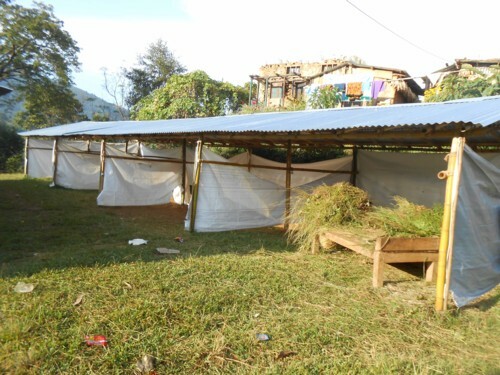 The people, mostly small farmers, who remained in Keraunja are still constructing of temporary shelters. The monsoon has caused a lot of mudslides. The situation is dramatic, see our previous newsletter. l made donations on the spot, directly to DRC. This was very useful because buying firewood is expensive. it is going reasonably well with the project but we need more donations, because of the higher prices after the earthquake and above all by the oil boycott. Our contribution to the costs for this year will be € 11,000, approximately € 2,000. more than last year. Destroyed by the earthquake, now unusable and they need our help.Since 1984, we made hikes with the then young Tendy Sherpa. 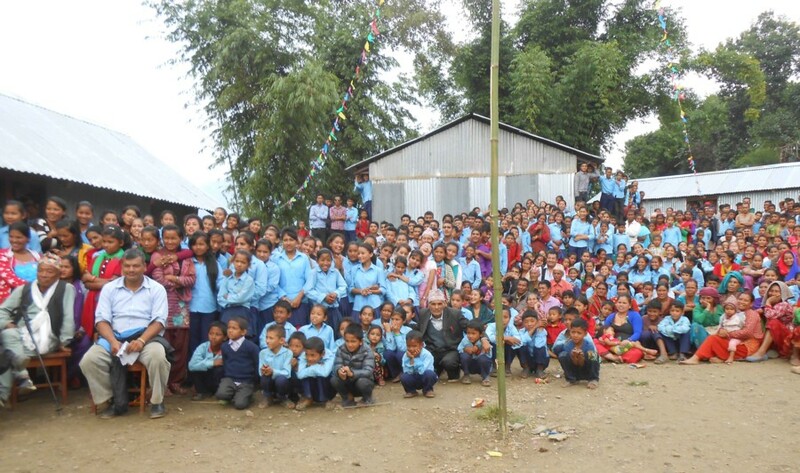 Our first trip was to Rolwaling and in Gairamudi, at the foot of the mountains in Rolwaling in the district Dolakha. Here he acquired his porters and Sherpas guides. The population is mostly Tamang and all our staff was related. who also helped to realize the medical project in Keraunja. 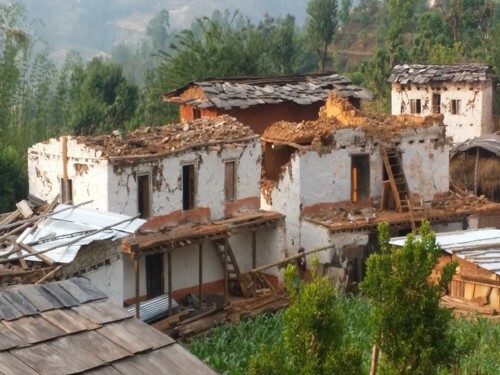 Their village Gaira Mudi has been destroyed by the earthquake. Through donations, the staff of Tendy received about 600 euros per person each but the government gave only an additonal 150 euros! The government promised 2000 euros per destroyed house, but that may be delayed for a long time. We still want to do something for the village and the government is considering to restore the school of Gairamudi at the time of this writing. There are no details yet. The recovery will cost at least € 12000. In the next newsletter, we hope to have more news. Below some pictures of the damage. 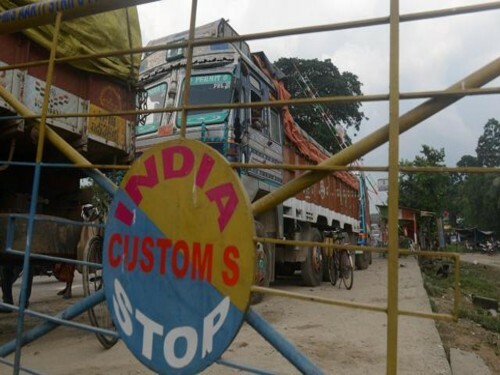 An additional problem is the border blockade by India, so everything has become more expensive, due to higher cost for transportation. 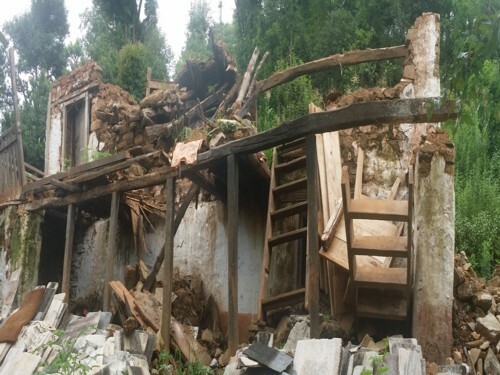 The house of Ramji Tamang (L) and the surrounding homes were destroyed or badly damaged. The full school on the photo. was badly damaged and equipment destroyed. Now children are taught in a kind of open cattle shelter. 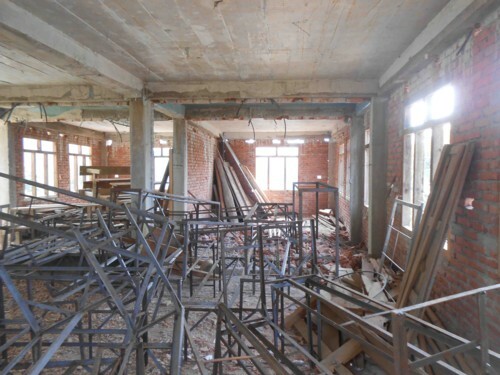 Restoration of the school is The school urgent. Various sponsors organized activities like during birthdays, ascending montain summits and sportactivities. 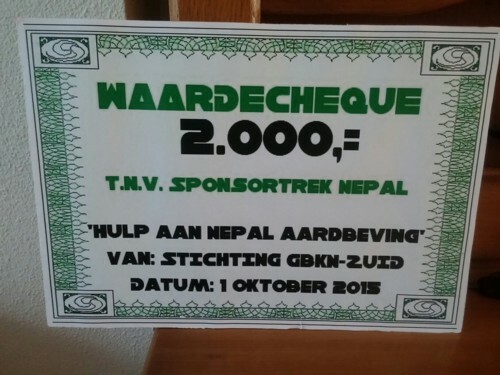 so that during his "walking tour" € 4000 was raised! 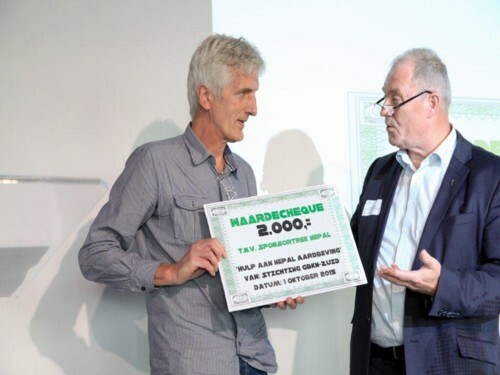 On the occasion of his 60th birthday, friends of Hector collected € 1335. Mr and Mrs Bijlsma once again made a great contribution. 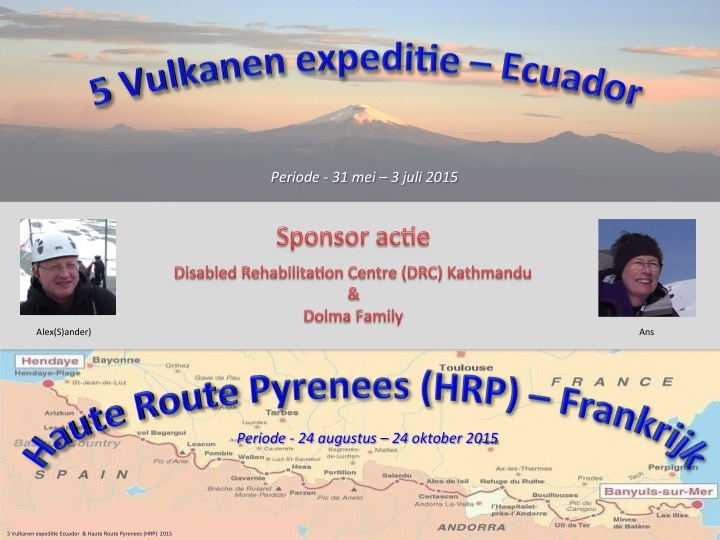 The climbs in Ecuador and the journey through the Pyrenees raised € 2150. We would like to thank all sponsors for their generous donations!